If you'd like to make sure there's color in your yard in the winter, plant a European mountain ash. The tree produces a plethora of red fruits in the summer that will remain even after the leaves drop off. This species is not a true ash tree (Fraxinus spp.). This member of the Rosaceae family is known as Sorbus aucuparia. Other well-known members of this family include roses, strawberries, the Prunus genus (which contains apricots, almonds, cherries, nectarines, peaches, and plums, among others), Cotoneaster spp., raspberries, and blackberries. 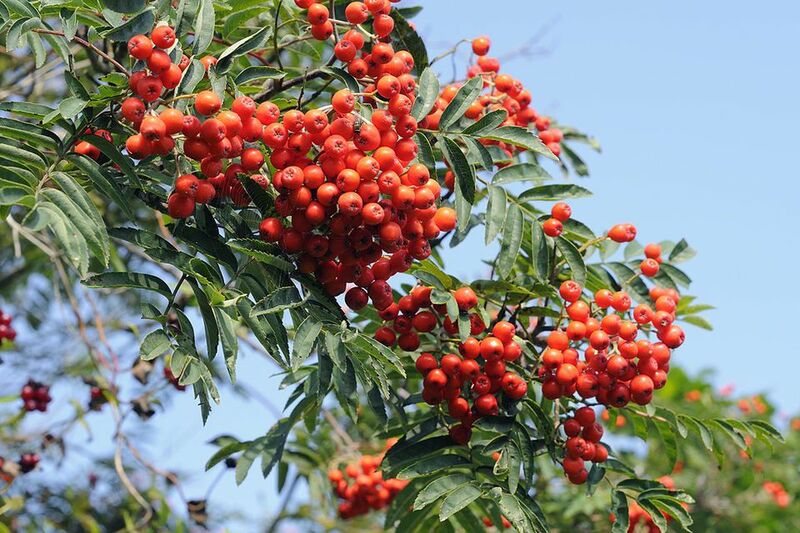 Names that you may see applied to this tree include European rowan, mountain ash, rowan, and European mountain ash. Zones 3-7 are the recommended areas for growing this tree. It originally grew in Asia and Europe. This tree reaches a height of 20-40' tall as it forms into an oval shape or round shape. You should choose a place in your landscape where the tree will get full sun. The pinnately compound leaves are arranged alternatively on the stem, each one featuring 9-15 leaflets. After the flower show, the tree will be covered with clusters of red-orange pome fruits. Invite birds into your garden by planting one of these trees, which is a favorite treat. Add winter color to your garden with the red berries. Test your soil before planting one of these trees. You need to have soil that is acidic for the tree to grow well. There are steps you can take to make your soil acidic if it is not already. Fire blight can be spread by pruning if the conditions are right i.e. warm. Prune at the end of winter before the dormant period is over.